What do the Tigers and The Voice of the Turtle have in common? We both experienced "technical difficulties" on Thursday. But unlike the Tigers, who had to postpone their final game of the series against the Indians, your fearless (reckless?) 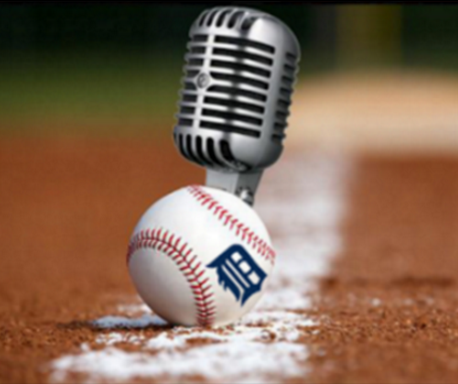 hosts pressed forward and found a way to bring you another solid episode of Tigers talk. The Big Question this week was "Can the Tigers compete going forward with the current bullpen? ", and according to our Twitter poll, most of you think that's a "nope." But the bullpen is making a decent comeback in the past week, and Rob and HookSlide looked at the deep numbers to see if that resurgence is sustainable. Oh, right, and Victor Martinez BUNTED FOR A BASE HIT THIS WEEK. That might have come up in this show once or twice. - Can you beat Rob Rogacki at Tigers Trivia? - Joe Jimenez is back in Toledo: is that good or bad? - Does Justin Upton's hot April mean he's due for a cold May? - Here comes the West Coast Road Trip -- sh*t.
- Just how bad have the Tigers been against the Angels on the road? Click here to subscribe to the podcast on iTunes! Be sure to rate and review the show as well! Be sure to send your thoughts, suggestions, and questions for our next show. We're on Twitter at @vottpodcast, @hookslide23 and @BYBRob!